The St. Francis, Shangri-La Place is located in a beautifully appointed and integrated neighborhood in Ortigas. The condominium is directly linked by comfortable walkways to the Edsa Shangri-La Hotel. 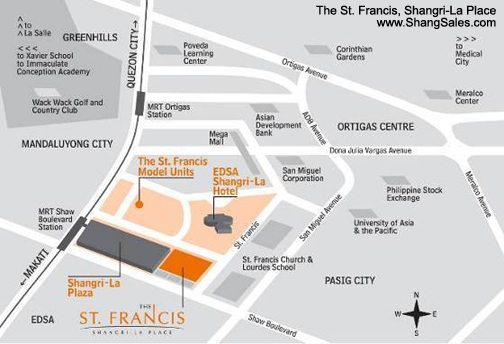 The St. Francis, Shangri-La Place also has direct covered access to Shangri-La Plaza Mall which has its own perfectly situated Metro Rail Transit (MRT) passageway through the 5th floor. The district, known as the Ortigas Business Center, is the home of the San Miguel Corporation, Asian Development Bank, Meralco and the Philippine Stock Exchange. Nearby facilities include the New Medical City Hospital and the Wack Wack Golf and Country Club. Several of the country's Top Schools are right nearby - St. Paul's Pasig, St. Pedro Poveda College, University of Asia and the Pacific, La Salle Green Hills, Lourdes School of Mandaluyong, Immaculate Concepcion Academy, and Xavier School. A world of Superb Shopping, Entertainment and Dining is at your doorstep. ensure availability of units and keys. 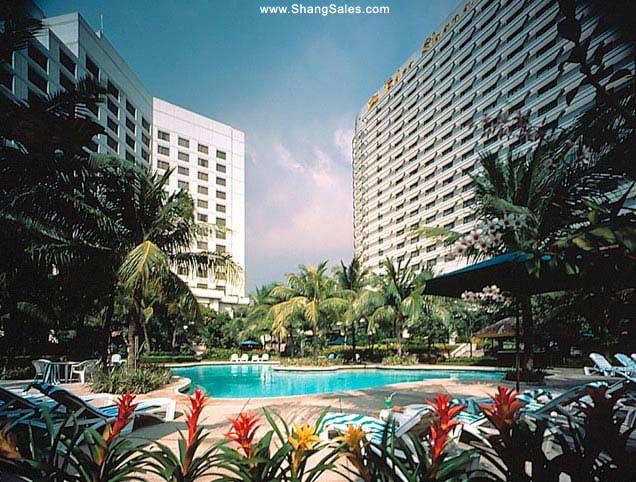 Some photos were taken from the website of Shangri-La Plaza Mall and Shangri-La Hotels.